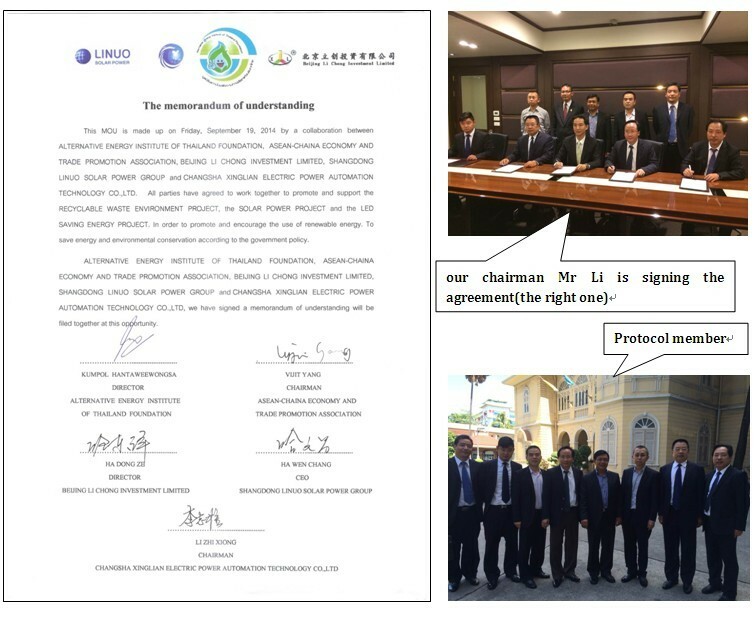 The Memorandum of Understanding - Changsha Xinglian Electric Power Automation Technology Co.,Ltd. September 9,2014, Changsha xingliandianli\shandong linuo\beijing lichuang,these three companies signed the Memorandum of Understanding on Energy-saving product with Thailand foundation\Asean-China economy and Trade promotion association in Bangkok. Congratulations !